A couple weeks ago we had 2 whole days where it was warm. It was glorious, and I went crawling around in the barn to find something to play with. I needed a project. Then I found this drawer. It was all alone, no cabinet, desk, or even another drawer to keep it company. I brought it inside and promised to give it a new life. ﻿Isn't it pretty?? I love the knob! I almost kept it the way it was, but I really wanted something with color. So, I painted it yellow and distressed it. Here it is painted at the beginning of the distressing. More distressing. It's looking good, but I have more in store for it. AWESOME! Love it so, so much. Even the hubs was impressed, and that's saying something. I can't wait to get her into my craft room and fill her with all sorts of goodies. Today I went to the barn to find another project. Guess what! I found another drawer! A different style, different size, and perfect for what I needed it for. What color do you think I should do the new one in? It's wooden with a metal front. When I first saw the drawer, I mentally screamed, "NO! Don't touch it!" But then I saw the yellow and how you distressed it. So much better. love the distressed look....I think a decoupage on the inside would look great. what a cute and simple idea! love the color you chose! I do have one question though, how did you do the distressing part? I love the drawer and your mason jar of spools is divine!! Thanks for the great idea... I love your blog and am your newest follower. Oh, I love your drawer and it's makeover! It turned out so very pretty! aww this is so pretty! i love it!! Love the drawer in color and how you decorated inside! Boy I need a barn! I found your site from Beyond the Picket Fence ... Nice to meet you! I'm Susan from Homeroad. So cute! And what a perfect color! I LOVE this drawer, I mean the color is perfect! Thanks so much for linking up @ Handmade Tuesdays!! EEEK! love it!! now to hunt down some drawers!!! Love it, the yellow is so springy and sweet. 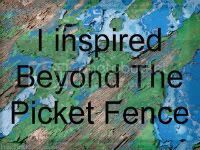 Thanks for linking up to Beyond The Picket Fence. I LOVE it! The color, the distressing EVERYTHING!! I can't wait to see what your next one looks like! I'm your newest follower! Your link-up at My Repurposed Life really caught my eye. What a wonderful and creative way to give that lovely old drawer a new life. Beautifully done! Oh I just love this! Now I have to find a drawer. The next one? Tourquois definately! Thanks for sharing ~ please stop by and say hi sometime! Great way to change it up. It looks fab. Love the Yellow you used. Thanks for sharing. Have a lovely day. I wish I had a barn to go scrounging through. I really love it. This is truly encouraging! When I get my stain-and-glaze project done, I want to link to this post as the push I needed. That looks great Shawna! I love seeing these old drawers given new life. The color and distressing are perfect. What about a Robins Egg Blue for the other one. Whatever you do, I'm sure it will turn out wonderfully. What an adorable idea. Looks great! What a great little tray. Clever way to reuse a drawer. Love it in yellow! this looks absolutely fantastic! what a great job :) and such a cute blog! I like the idea of using paper or fabric to pretty up the inside of the next drawer. Wow, that looks incredible! I love it! So fantastic! Thanks for linking! 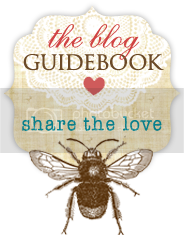 I'll be featuring this on BCD on April 5th with an invite to read your blog! Thanks! shawna, I really love the color. This is such a sweet little transformation!!! I love it!! I have 2 shallow ones that are awaiting a makeover of some sort......and i LOVE that little jar of spools....soooooo cute!!!! I love this. Gonna feature it. What color yellow is that? WOW! This is amazing. I love the idea of using a drawer as a tray. The color you chose was so beautiful! I am featuring you on Spunky Junky tomorrow. I'm coming over from Spunky Junky and I love this. I love the yellow and the distressed look. Very nice! I have drawers from our kitchen remodel that are sitting outside and had been thinking of what I could do with them! Thanks for sharing! Simply beautiful! I so love the makeover & the color. :) Thank you for linking to my K.I.S.S. blog bash this past week. I so appreciate you taking the time to share your charming craft. Tomorrow is another blog bash, please drop by & share more of your inspiring ideas! I Love Followers...No seriously, I do!! Today is Spring Fling Giveaway Day 12! Spring Fling Giveaway DAY 11!! Hoo Am I?? Today? I'm Sleepy. Day 10 of Spring Fling Giveaways is Here! Spring Fling Giveaways Day 9--NINE? Already? Katy Perry Challenges and Survivor=Weird Combo! Spring Fling Giveaways Day 8!! Spring Fling Giveaways Day SEVEN! Hoo Am I?? Do you REALLY want to know?? Spring Fling Day 3 Giveaways! Survivor Weeks 4 and 5 on Tallyscrapper!! Spring Fling Giveaway SNEAK PEEK! Knowing Me Knowing You Blog Hop! Ella-May. Every minute is good.